This raised-bowl diner is cute and functional for large dogs or even giant dog breeds, but it’s not without its flaws. Banjo is the second Boxer I’ve had, and I learned pretty quickly that with their lanky legs, Boxers benefit from raised food and water bowls. This means that rather than folding the front half of her body awkwardly to reach kibble at floor level, Banjo can comfortably dine while standing upright. Ideally, aside from just being functional (i.e., holding Banjo’s provisions), the diner should also look nice. After all, it’s a small, permanent piece of furniture in my house. Banjo’s previous raised diner wasn’t particularly cute. It was a clunky black plastic frame that leaked water everywhere, so we had to keep a boot tray beneath it to catch the runoff. Aesthetics aside, it performed its duties for a couple years before I threw in the towel and began looking for a more eye-catching replacement. There were a few storage/diner combinations that I considered before settling for the New Age Pet Ecoflex Piedmont Dog Diner. It looked like an ideal solution, and the majority of its reviews on Amazon were positive. 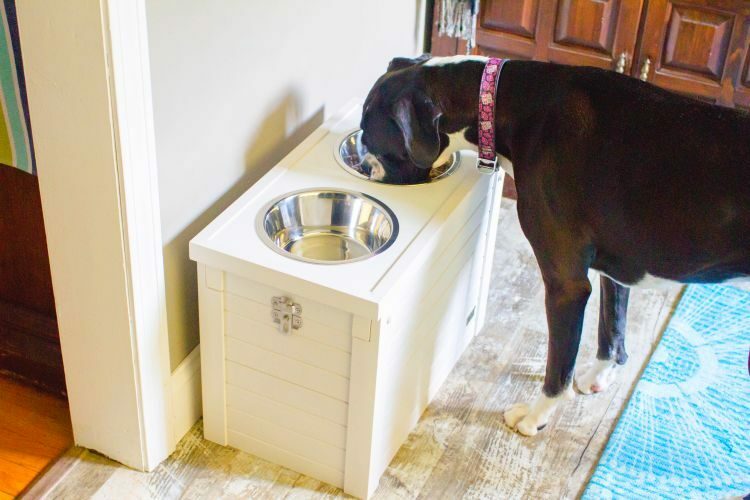 The New Age Pet Ecoflex Piedmont Dog Diner is multifunctional and aesthetically pleasing. Simple assembly: The diner has a basic tongue-and-groove layout, so it can be assembled in minutes without any tools. Durable and easy to clean: The diner is composed of a plastic-wood polymer composite, so it “won’t warp, crack or split” like other diners made of wood or particleboard. That also means it’s a cinch to clean. 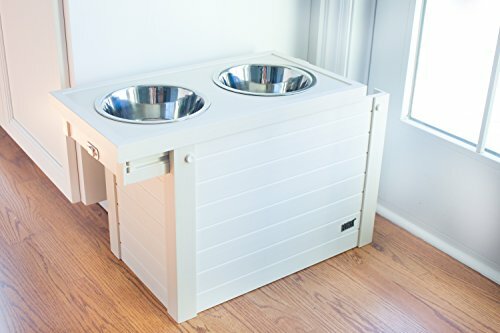 Multifunctional: It’s a diner, but it’s also a storage unit, so the extra space below the food and water bowls isn’t wasted. We store treats, extra leashes and some toys in the bin, with lots of room to spare. You can also store extra food in there, and if you’d like to avoid getting crumbs in the bin or pests getting to the food, you can use the large, resealable plastic bag that comes with the diner. Catch tray: My biggest concern with water dripping everywhere after Banjo had a sloppy drink. But the New Age Pet Ecoflex Piedmont Dog Diner has a couple of fail-safes in place to prevent that from happening. Around the edge of the bowl holes is a rubber liner to keep water from running freely into the hole. There’s also a catch tray below the bowls that completely separates the top of the diner from the storage bin below. Aesthetically appealing: When you raise a couple 32-ounce bowls over a foot above the floor, they’re hard to miss. 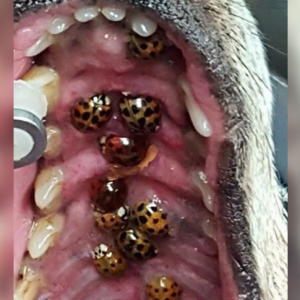 If Banjo’s feeding station is going to be conspicuous, then I’d love it to fit nicely with my decor. Fortunately, the New Age Dog Diner comes in white — the same color as my baseboards and trim. Bonus: The white option was slightly less expensive than the gray or russet. I really wanted this raised diner to be the perfect fit for us. In many ways, it’s excellent, but it’s far from perfect. Construction concerns: The tongue-and-groove construction makes assembly pretty easy, but it does nothing to create a smooth opening for the top tray. To access the storage, you have to slide open the top. But I use the word “slide” loosely here — it’s more of a jerky struggle. And if the water bowl is more than half-full, it will splash around when you open it. Latch design flaws: The bar latch is an unnecessary addition since the diner top doesn’t freely slide. A dog would destroy the entire diner before nudging open the unlatched top. On my diner, the latch is poorly installed: When it’s in both the locked and unlocked positions, the bar slightly overlaps the top section. That means I have to lift on the top and hold the bar down to slide open the tray and access the storage — not convenient. Size limitations: Before you buy this diner, make a note of the size. 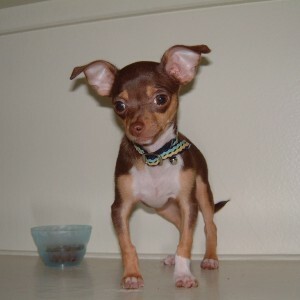 It’s 15 inches tall, which is not appropriate for small or medium-sized dogs. This diner is meant for tall dogs. It would be a perfect fit for many giant breeds, but the bowls are not enormous. 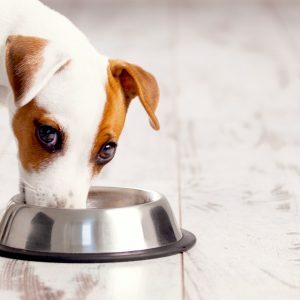 At 32 ounces, that water bowl will need frequent refills for breeds like Great Danes and Mastiffs. Ultimately, I love the look of this diner and like the concept of the storage bin, but for the cost, I expected something more user-friendly. But until something better comes along, Banjo will happily drink and eat from it. 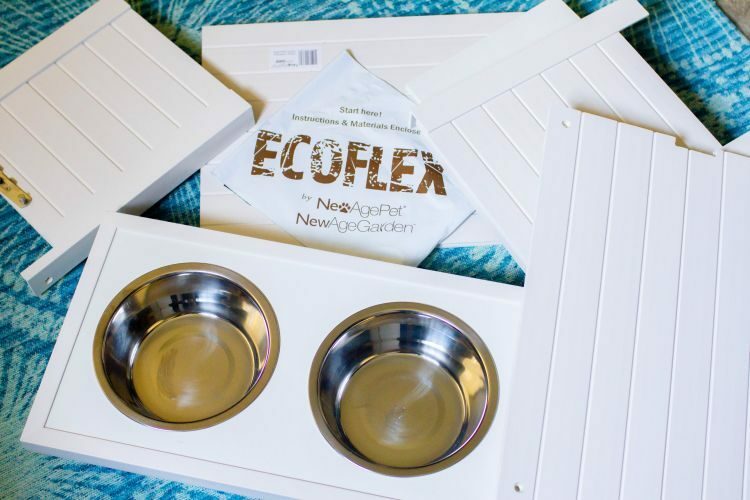 Learn more about the New Age Pet Ecoflex Piedmont Dog Diner on Amazon.